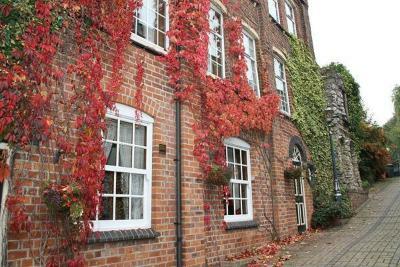 Lock in a great price for Lyndon House – rated 8.6 by recent guests! I think it is fair to describe this hotel as a character hotel it is Late Georgian early Victorian and a sprawling building. Clearly Popular locally. It has Limited parking at the rear and a small space 300 metres from hotel on a nearby traffic island. The rooms are located through a series of steps there are no lifts and narrow corridors they are clean, but very dated. Your location will determine your comfort rooms at the side of the property may have the sounds of loading ?unloading. Rooms above the bar/function areas you may experience music party noises. The cost is excellent . Breakfast is a cooked breakfast with a good range of buffet and drinks. 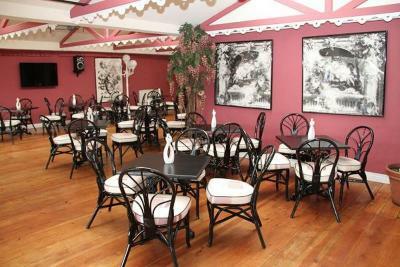 Meals can be had in the Bar area in the evenings well cooked and good value for money. Friendly welcoming staff. 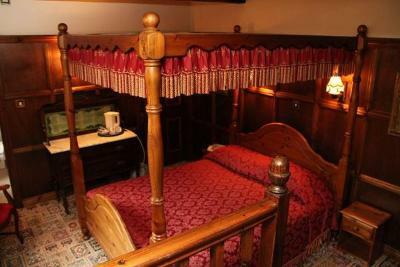 Very clean comfy Traditional rooms. Wonderfully helpful and friendly staff. Quirky little place. Had a very peaceful nights sleep even though it is above a pub! Plenty of tea/coffee etc in the room. Great value for money. Lovely breakfast, friendly staff and helpful given I asked for lactofree margarine. Lovely hotel, friendly staff, great food at a very reasonable price. Super comfortable bed. Spotlessly clean. Handy to have a hairdryer and iron with ironing board in the room. Lots of storage space. Up to date TV system. Live music and entertainment are hosted throughout the week at Lyndon House. A large range of drinks and food, including 6 cask-conditioned beers, is available at the Lyndon Bar. 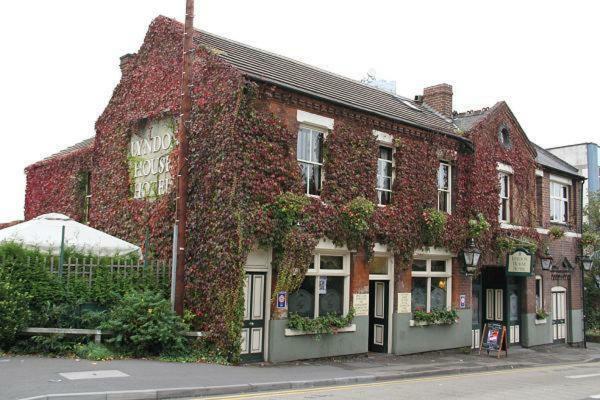 Walsall Train Station and St Pauls Bus Station are about 10 minutes' walk away. Town-center shops and eating places are just a few minutes' walk from Lyndon House. There is limited free parking on site, and free parking nearby between 18:30 and 07:30. Saturday night entertainment is held in the conservatory. 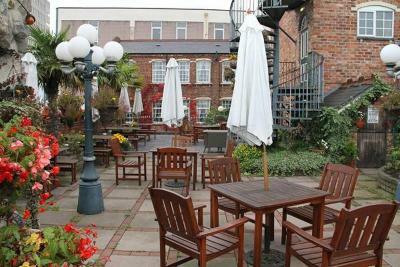 There is also a garden terrace, and a function room. This property also has one of the top-rated locations in Walsall! Guests are happier about it compared to other properties in the area. This property is also rated for the best value in Walsall! Guests are getting more for their money when compared to other properties in this city. When would you like to stay at Lyndon House? This room has recently been redecorated. House Rules Lyndon House takes special requests – add in the next step! Lyndon House accepts these cards and reserves the right to temporarily hold an amount prior to arrival. 2nd stay and while rooms decor may not be as up to date as some want, the rooms are clean and price is fair and the staff are fantastic. Would have liked a later check out. Would also have liked breakfast up to 10.30am. Being disabled it takes a long time to get ready. However this did not detract from my stay. The fabric andhotel are tired but the staff are amazing and the rooms are spotless. The price including a fabulous breakfast is amazing value and so don't gripe if you want modern decor then go elsewhere and pay a lot more. We come from Kent to watch the baggies and have stayed at the village and Holliday inn nearby but this place is tops for the reasons given. Also the bar is great value with a nice atmosphere and the golden moments Indian restaurant at the bottom of the hill is wonderful. The only downside of the hotel is its age it is an old building and creaking floorboards are the norm. The central heating pump is a little noisly. The staff were very friendly and couldn't do enough for us. The facilities were more than we bargained for this is the first UK hotel that has provided us with an iron and ironing board in the room. The hotel is centrally located. The breakfast was excellent and freshly cooked. Although our room had old world charm, it was much to dark. Car park a little small, can be hard to get a space sometimes But there is extra parking over the road. Breakfast was excellent, Mel the cook was fantastic and all the staff were helpful and polite. Great bar with excellent food and drink, at the right price. The Curry night is a must. On Thursday, Will stay again. I wasn’t a fan of the mattress or pillows. A bit hard for my preference. I loved the character & atmosphere. My room was clean & comfortable. All great, thank you. Hope to be back. Poor/non existent WiFi signal, shower Luke warm on one occasion. Great place to stay for a couple of nights. Very good value for money. Clean and good facilities. Very friendly. Had to leave before breakfast but I was given a sandwich and drink to take with me. Couldn't have been more helpful.